Serious assistance for sensitive scalps. This mild therapeutic shampoo combines foaming coconut with moisturising jojoba and evening primrose oil to soothe dry, irritated scalps. Potent coltsfoot, horsetail, licorice and yarrow promote glossy hair, while fragrant herbal extracts of lemon tea tree, French lavender, rosemary and geranium provide a stimulating aroma. Most shampoos get hair clean - but they do so by using harsh, skin-stripping chemical detergents. Which inspired Barefoot Botanicals homeopathic skin (and scalp) gurus to create the mildest, gently foaming - but completely effective - natural alternative, infused with the freshness of lemon tea-tree. 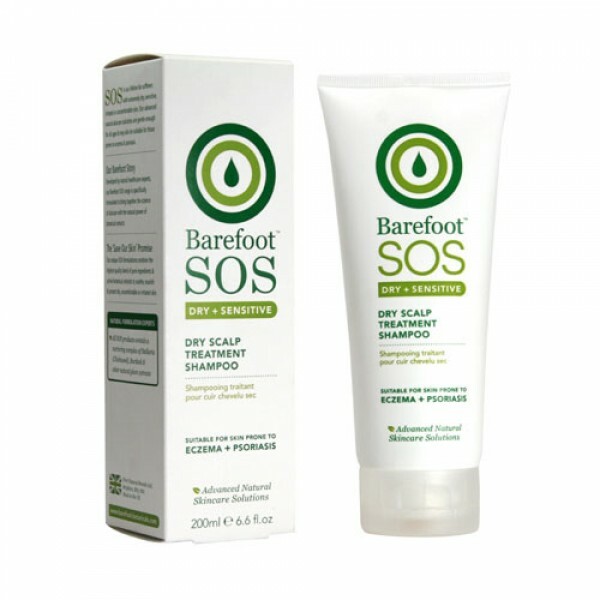 Barefoot Botanicals experience is that this works quickly to help dandruff, scalp psoriasis, and irritated scalps. 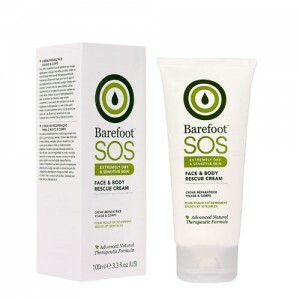 Suitable for those prone to Eczema & Psoriasis. Liquorice, Mahonia, Calendula, Pau dArco, Coltsfoot, Horsetail: Soothing and silica-rich herbs, Aloe Vera: Soothing & Healing, Vitamins A, B5, C, E: Healing, soothing vitamins, Jojoba oil: Packed with essential fatty acids to help the skins integrity, Essential Oils: Lavender, Lemon Tea Tree, Tea Tree, Geranium, Rosemary. Massage into hair and scalp with fingertips to cleanse and soothe. Rinse and repeat everyday, or as often as you wish to wash your hair.